This 4 day festival of traditional singing featuring performances, sessions, workshops and lectures takes place in the villages of Ballyliffin, Dumfries and Clonmany on the scenic Inishowen peninsula. 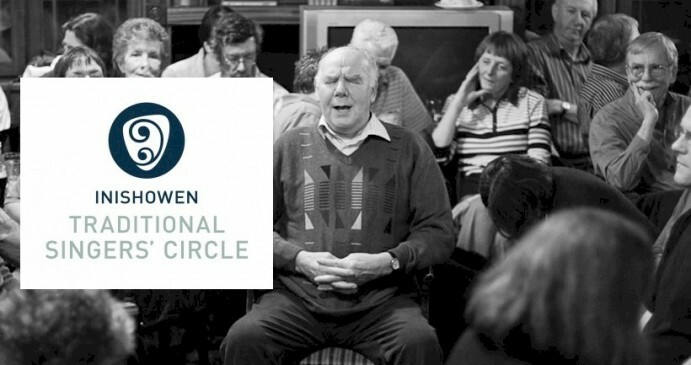 The event is organised by the Inishowen Traditional Singers Circle who for several years have been involved in a Song Project involving the collection and archiving of material related to traditional singing, including sound recordings, videos, photographs and lyrics. This is an immensely valuable project for an art which while thriving in some areas still has little material record, with songs traditionally handed down form singer to singer orally. Singers and lovers of traditional song come not only from Ireland but from Scotland, England and the USA, to share their songs in performances, informal sessions and workshops. Inishowen is a destination, not a place you pass through, and if you are going at all you may as well stay for the whole weekend – you won’t regret that. Season tickets are reasonably priced and available at the website.